We believe that children are our future. We work with children, directly and through the materials on our website, to teach them to value themselves, the environment, and their connection to all living things. An important part of our focus is to help young people understand the power that they possess to do good, and to connect them with opportunities to get involved with important causes and volunteer their time to help with issues in their community and abroad. 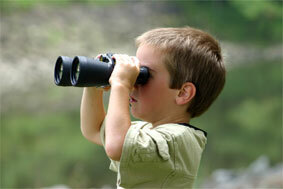 But we are also especially passionate about the need to get kids back out into nature! The emphasis of the EK KIDS CLUB is on connecting kids with positive experiences with nature and wild spaces through fun and informal family activities. A growing body of scientific evidence suggests that kids who spend more time in nature are healthier, more mentally focused, and happier! And we also know that kids who love and value nature are more likely to grow up to be adults who value and safeguard wild spaces and wild creatures. Our Earth's Kids KIDS CLUB program seeks to help families connect with nature and wild spaces. To learn more about this, and about how you can start a local chapter, click here. Finally, we know that right now world events are setting the stage for the challenges our children will face as adults, and for the quality of life they will enjoy, or endure. 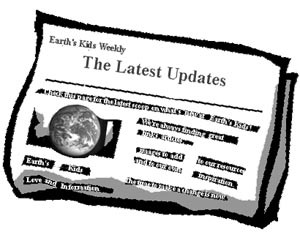 So we at Earth’s Kids are committed to networking with educators, scientists, activists, and other community leaders to share information, take action, and positively shape the world that our children will inherit. We hope you will join us. 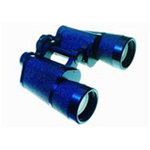 Global climate change looms as one of the major crises of our times. But unlike war, disease, and pollution global warming and other aspects of drastic climate change threatens to create a change so sudden and so devastating to our economies, our food base, and even to the availability of habitable land, that it outstrips all threats save the nuclear holocaust we struggled successfully to prevent in decades past. We stand now at a critical junction in history, where choices still remain to us, and a significant impact can still be made. It is not too late to change the trajectory we are on, to affirm and protect life. To think and act with compassion, for ourselves and our fellow creatures. Visit the Earth's Kids Global Warming special feature page to learn more about this critical environmental problem, and about what we all can do to help. Remember that as parents and educators we are role models for our children. Taking daily action to do our part -- whether it's recycling, cutting down on gasoline and electricity consumption, conserving water, or growing part of our own food -- all helps our children to understand the importance of making responsible choices for a healthier world. You might be surprised to discover how important the health of our oceans are to our own well-being. 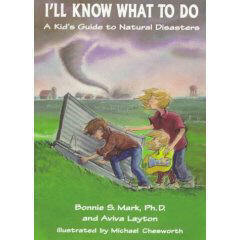 To learn more visit : the Earth's Kids Marine Science Page. From producing seafood and producing oxygen to regulating the temperature and weather, the ocean plays a powerful role in all our lives. And the vast array of creatures that live in our oceans are a source of wonder and delight to people of all ages. Prudent stewardship of our ocean resources is critical to our wellbeing and those of future generations. ...And also on the environment, as humans scramble to provide for their needs in the face of climate change and political instability. But what can we do? Thankfully there are reputable and highly effective groups tackling this problem, in our communities and abroad, who have the experience and means to make a difference. We look forward to meeting and sharing resources and information with educators, scientists, activists, and most of all... KIDS! Our most effective tools in creating change for children are compassion and community. From compassion comes our will to act. And from community comes our power to take action. Together we can share information and creativity and shape solutions that work for all of us. But just as important, by forming communities -- not just of shared residence, but of shared purpose -- we give our children the experience of belonging to a larger group, a group that cares for them, values them and works to support them. And this in turn helps them learn to work together with others. It also boosts their self-esteem, confidence, and initiative. We urge parents to seek out this experience, for your own well being and that of your children. Seek out play-groups, co-op schools, nurturing church or spiritual groups, and other volunteer dependent organizations that will join with you and your child in making positive change at the small group level. We think you will find this experience empowering, and slightly addictive! And we believe that it will become a beacon to you and your children, convincing you that we can make significant change in our communities, and also showing you how it can get done, with wisdom, compassion, and humanity. We know that working together with compassionate concern, we can make a significant and lasting difference for all of Earth's Children. Empowering Children to Create Positive Change. 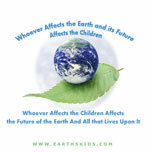 Become a Fan of Earth's Kids on Facebook!